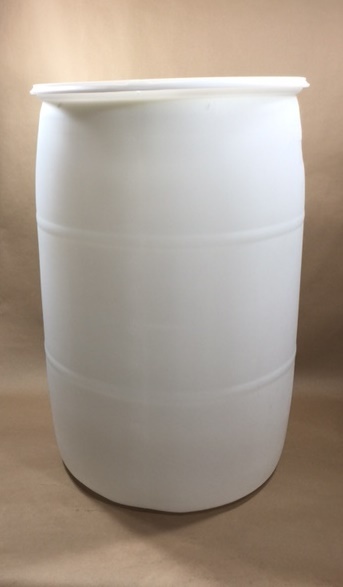 Our 55 gallon natural plastic drum is made from high molecular weight high density polyethylene (HMW-HDPE). 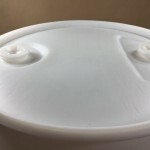 Natural plastic is translucent allowing the customer to view the liquid level in the drum.  To help view the liquid level, this drum has graduation marks at each 5 gallon increment. This drum has a nominal outside diameter of 23.3 inches and an overall height of 34.8 inches. This is a tight head, or closed head, drum which means that there is no cover that can be removed. It has 2 bungs – one 2″ buttress (coarse thread) and one 2″ NPS (fine thread). The minimum wall thickness of this drum is 0.090 inches. Our drum is UN rated for hazardous liquids. It has a UN rating of UN1H1/Y1.9/150 and UN1H1/Y1.4/150 when vented making it suitable for hazardous liquids in the Packing Group II and Packing Group III categories. It is made from FDA compliant material and is suitable for food products as well. As always, compatibility of the product with the container is the responsibility of the shipper.